Dr. Doris Macdonald is a Fulbright Specialist at Universitas Mulawarman in Samarinda, East Kalimantan from February 10 to March 23, 2019. She will conduct workshops on English language teaching methods and materials, hold clinics for lecturers on academic writing, and deliver lectures to master’s degree students in the Faculty of English Education. She will also work with the local Secondary English Teachers Group (Musyawarah Guru Mata Pelajaran) and she hopes to include Fulbright ETAs who are co-teaching English in Samarinda in some of her university activities. This is her third academic visit to Indonesia. 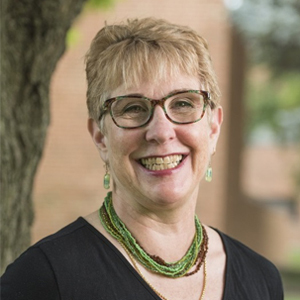 Dr. Macdonald has been a faculty member in the Department of English at Northern Illinois University (NIU) since 1992, where she teaches second language acquisition theory, TESOL methods, sociolinguistics, and grammar. She has also served in several leadership roles in her department and in the university. Each fall, she mentors Indonesian scholars coming to NIU through a program funded by the Indonesian government, Peningkatan Kualitas Publikasi Internasional (Program for Enhancing Quality International Publication or PKPI). © 2019 AMINEF. All Rights Reserved.